The first Sponsor Visit was successfully held from 21-25 May. 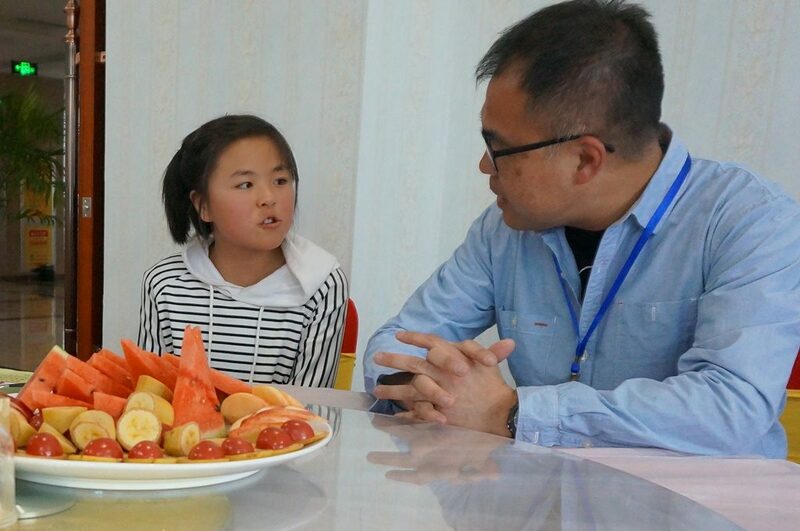 10 child sponsors visited Ningxia to meet their sponsored child in person. They also went to Plan International-supported schools and community to witness how Child Sponsorship Programme is helping children improve their lives. Kanie Siu, CEO of Plan International Hong Kong (front row in the middle) went to Ningxia with 10 sponsors. Sponsors were all very excited to meet their sponsored child. Though the gathering was short, both parties were left with beautiful and profound memories. We have invited 3 sponsors to share their moments meeting their sponsored child. It was difficult for us to meet as we live in different regions. Therefore, it was a dream come true to be able to meet him in person. I have been sponsoring Xiang Xiang through Plan International Hong Kong for 4 years. Unlike most children of his age, who can snack freely and join different kinds of activities, Xiang Xiang suffers from lymphatic disease. He is not allowed to have any food with fat or of high-protein. Also, he is advised not to do any strenuous exercise. He has had two operations so far and there is one more coming up. He can only receive the surgery until he gets older. Compared to other sponsored children, 9-year-old Xiang Xiang is obviously weaker and quieter. When we first met, I tried to make small talk but he was too shy to open up. Luckily, I remembered he sent me lots of his drawings over the years so I asked him if he likes drawing and passed him some papers. Watching him make strokes, I was amazed by his talent. I was glad that I could reach out to Xiang Xiang through the sponsorship programme. Xiang Xiang gave me these two pictures, which I will treasure dearly. Xiang Xiang gave me his drawing of a dinosaur, which is my favourite and the most meaningful drawing I have ever received as I was there with him, encouraging him to finish the work. Back in Hong Kong, I pray for a successful surgery and good health for Xiang Xiang. Hope he will become an outstanding painter one day and live a fruitful life. Exchanging letters is perhaps the only way to connect with our sponsored child who lives across the world. We have probably dreamt of meeting him/her one day. 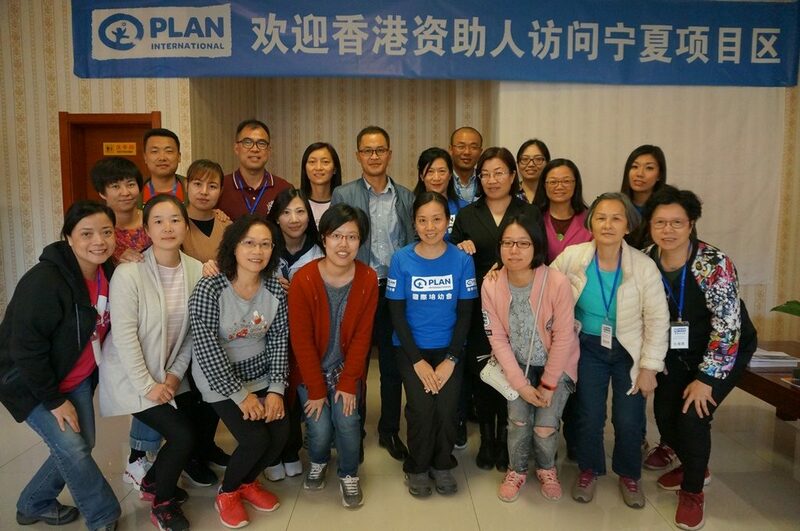 I first knew about Plan International when I was volunteering for its summer camp in Shaanxi 5 years ago. Back in Hong Kong, I started my journey as a sponsor. The first child I sponsored is from Shaanxi, and then Xiaomi* from Ningxia. Xiaomi is 4 years old and has not started school yet. She does not know how to write and as far as I remember, she has big eyes and red cheeks. When Plan International announced its first Sponsor Visit, I signed up for it at once. I felt excited that I could meet my sponsored child in person. Perhaps in the eyes of some people, rural China is still shabby and backward. In fact, the government has invested in education in recent years. Brand new and spacious schools can be seen everywhere. The implementation of nine-year voluntary education has further brought down the school dropout rate. Though the infrastructure has improved, lack of quality teachers, poor sanitation, insufficient dormitory space, safety issues for students travelling to/ from school and left-behind children are some major challenges faced by the country. Thus, Plan International is filling the gap by providing sanitation facilities and water heaters at schools, launching disaster preparedness programme, raising awareness to root out sexual violence in the community, etc. On the day we met, Xiaomi’s father drove her to school by motorcycle. Dressed in thin clothes with no jackets or socks, Xiaomi looked overwhelmed. After talking with her for a while, I learnt a lot more about her family. She has two siblings and her parents are illiterate. They rely on faming and doing casual work to make a living. Like many rural children, Xiaomi was very shy and nervous. She did not talk much, only nodded and shook her head occasionally. She smiled to me after enjoying the candy I gave her. I felt like dreaming when I had the chance to meet Xiaomi in person. Being a sponsor for five years, I have always known there are two children out there and somehow we are connected. Through the Internet, we can easily connect with our relatives and friends anywhere in the world. Yet, due to poor development of communication system and Plan International’s child protection policy, the communication with our sponsored children is relatively slow and indirect. Therefore, the whole experience of the visit was surreal. I could see her smile, give her a big hug and witness her transformation over the years. I do not know if I will meet Xiaomi again, but I hope she can continue her education after graduating from high school and unleash her potential. I also hope that girls in her community would not be treated unfairly because of stereotypes and they could have more chance to receive education, work and pursue their dreams. 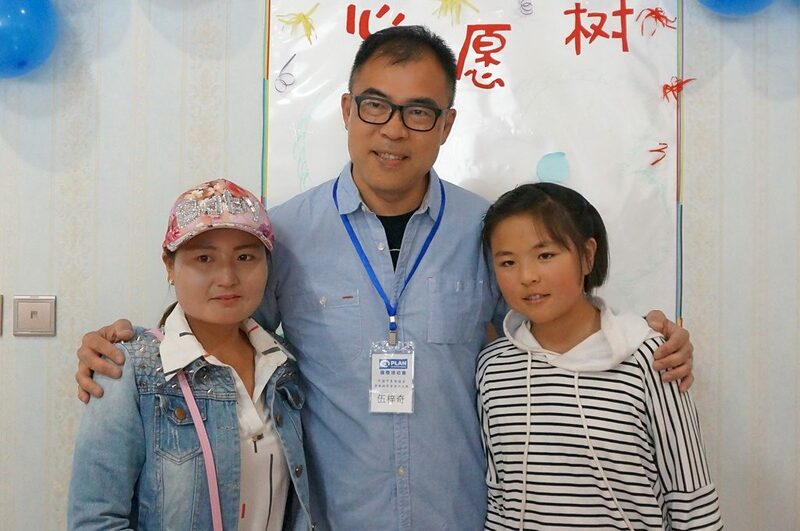 I have been sponsoring 10 children through Plan International and Zhuan Zhuan is the only Chinese. I signed up for the Sponsor Visit as I would like to meet Zhuan Zhuan and know more about Plan International’s work. When I first met Zhuan Zhuan, she was not as shy as other rural children. With short hair, sparkling eyes and big smile, she is a girl that you couldn’t help but like her. Even I am not good at speaking in Mandarin, I tried my best to talk to her so we could learn more about each other. We both treasured our first meeting. As my Mandarin is not that good, I spoke and wrote at the same time so she could understand what I was talking about. We eventually learnt a lot more about each other. Zhuan Zhuan loves dancing and is a high achiever in school. She wants to apply to the top universities in China. I was deeply touched when she said I helped transform her life. 13 years older than Zhuan Zhuan, Zhuan Zhuan’s sister (Left) got married at 17. 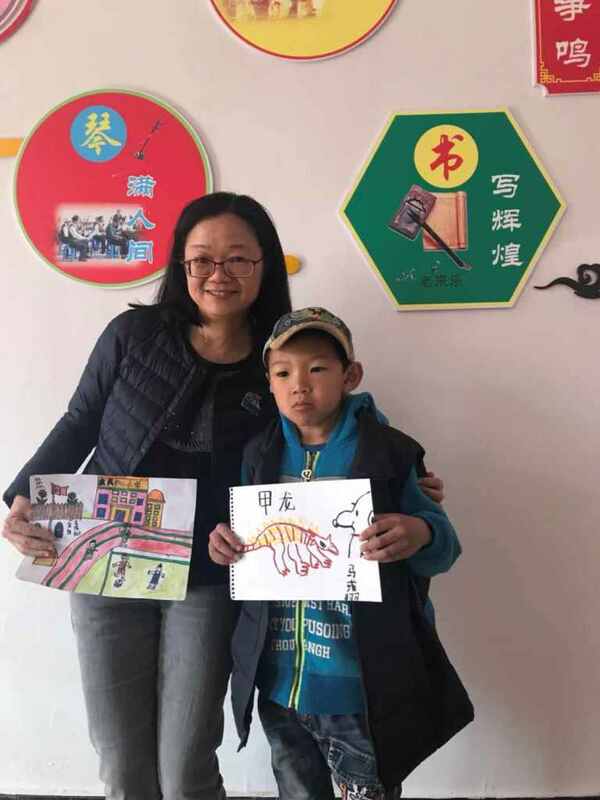 She wants Zhuan Zhuan to excel in school so as to live a better life. We also visited Plan-supported schools and project sites. There we saw the many ways Plan International is collaborating with the local community to meet children’s needs, allowing them to pursue their own dreams. After the visit, I realize my money and what I am doing is gradually making a difference to my sponsored child’s life.